Eintracht Frankfurt midfielder Kevin-Prince Boateng believes a first ever UEFA Champions League qualification is well within Die Adler's grasp in the wake of his team's 3-0 win over local rivals Mainz on Matchday 27. The 31-year-old took his goal tally for the season to six by scoring the opener in that game to lift the Eagles back into the top four – ahead of Bayer Leverkusen's trip to Cologne on Sunday. And the victory has given Frankfurt good reason to believe they can go on to book what would be a maiden place among the continent's elite, and a first European campaign since 2013/14, when they reached the Europa League Round of 32. Boateng has previously tasted Champions League football both with Schalke and AC Milan and is therefore qualified to talk about what it takes to sit at European football's top table, telling bundesliga.com that Frankfurt have all the necessary ingredients. "If we work hard and play like we played today, I always say everything is possible, but we keep both feet on the ground," he said. "We know exactly where we come from and we know exactly what it takes to be on the top or to achieve this [Champions League qualification]. But we're happy, we're very positive and if we keep going like this at the end we'll see where we stand." Only Bayern Munich and Stuttgart have better records since the turn of the year, with Frankfurt having picked up 19 points from their ten league games in 2018. "We're right in the mixer and are going to fight our corner, then we'll see what we get out of it in the end," added director of football Fredi Bobic. Indeed, the real test is yet to come with a trip to Werder Bremen, who have won four of their last six, followed by clashes with direct rivals for European football next season, Hoffenheim and Leverkusen. Frankfurt will then look to keep another passage into Europe open by beating Schalke in the semi-final of the DFB Cup. 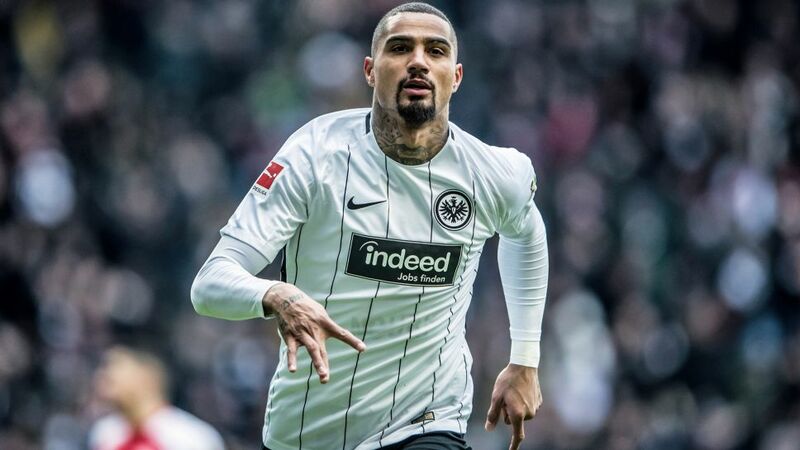 "Dreaming is always good – that is what spurs us on," added Boateng, who is as motivated as anybody to ensure Frankfurt's fans need to reach for their passports again next season.